Thankfully those driving up Friday night arrived safe and sound and found the Caravan Park quite easily. The arranged impromptu happy hour with drinks and nibbles on Friday night in Heather & Stella’s cabin was full of chatter, fun and laughter (thank you again). We all got on so well it was if we had known each other for years and were longing to catch up. The newer members of the club were so easy to get along with, positive, fun and nice company. The pre-made dinners that everyone brought were delicious and satisfying. 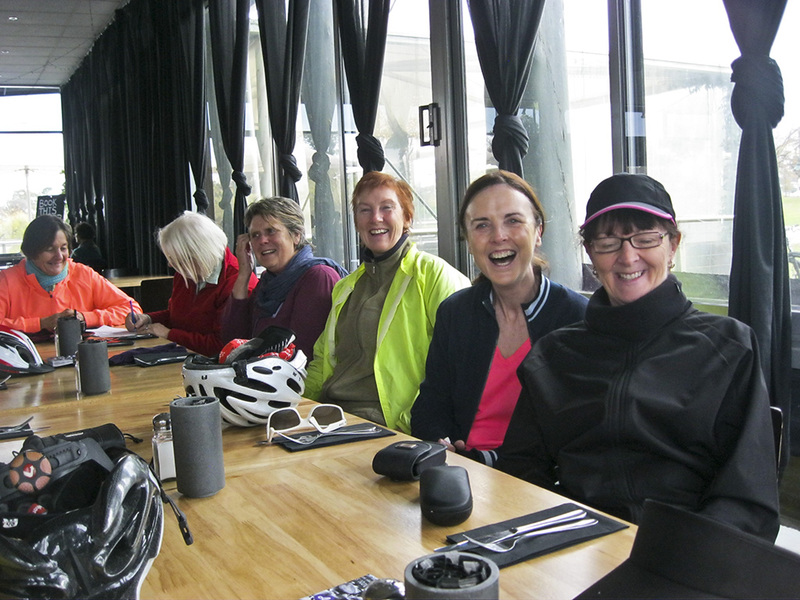 Saturday we rode down to The Boardwalk Cafe for a coffee overlooking Lake Weeroona. It was a pity the weather was cold – it is late May after all …otherwise sitting at tables outside in the Spring/Autumn air would have been magical. 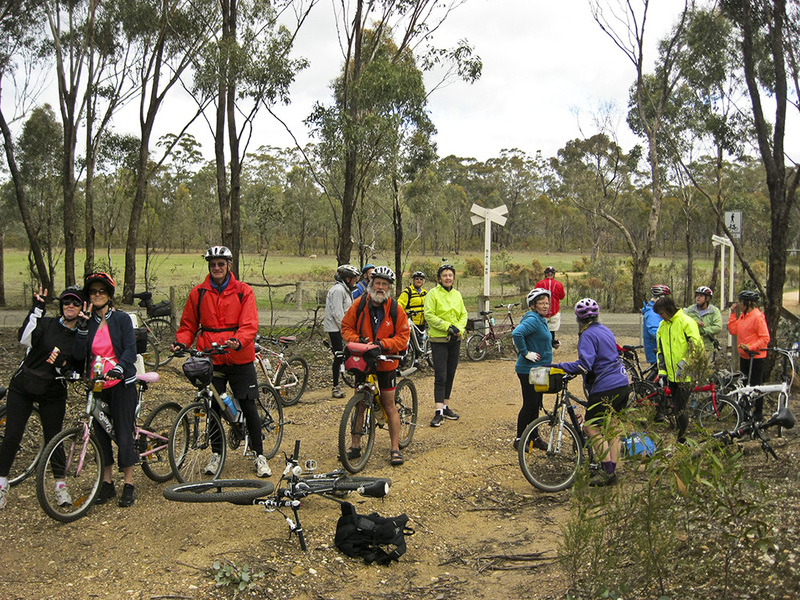 Along with Rod’s friends from Dunnolly 19 riders rode the O’Keefe Trail to Axedale in coolish, overcast weather without any hitches. The lunch menu to choose from at the Tavern was extensive and tasty for the price. 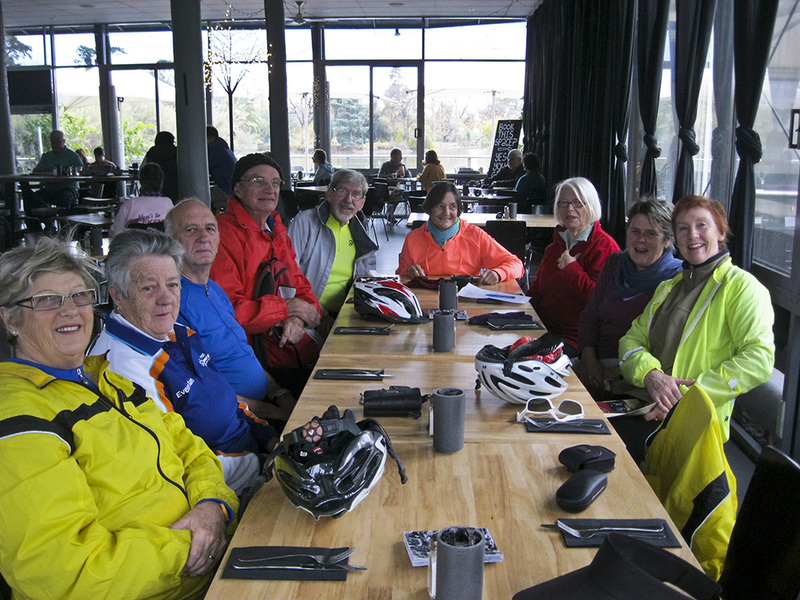 We were all very hungry so the amount of food ordered and eaten was the biggest I have seen on a bike ride! The total distance out and back was 55 kms. 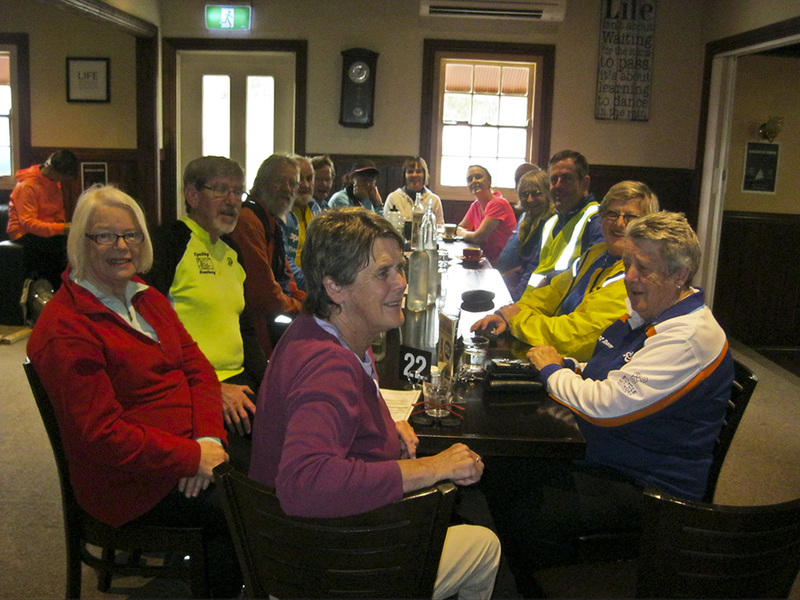 We all enjoyed another happy hour before we all met for dinner on Saturday night at the hotel opposite the caravan park. 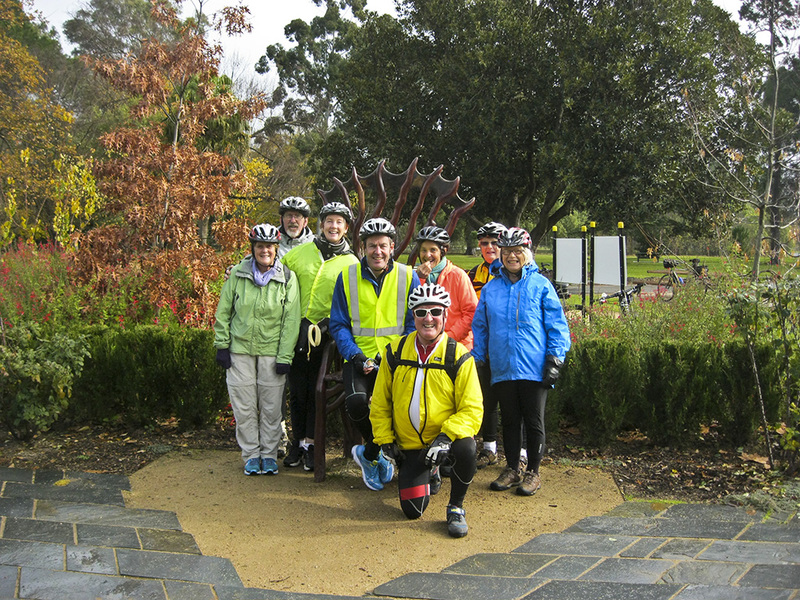 A shorter ride was chosen on Sunday morning- Lake Weeroona to the Bendigo Pottery & return about 16 kms. Fortunately the drizzle stopped when we visit the lovely Botanical Gardens where the girls all sang along with the nursery rhymes. Thanks for organising a great weekend. 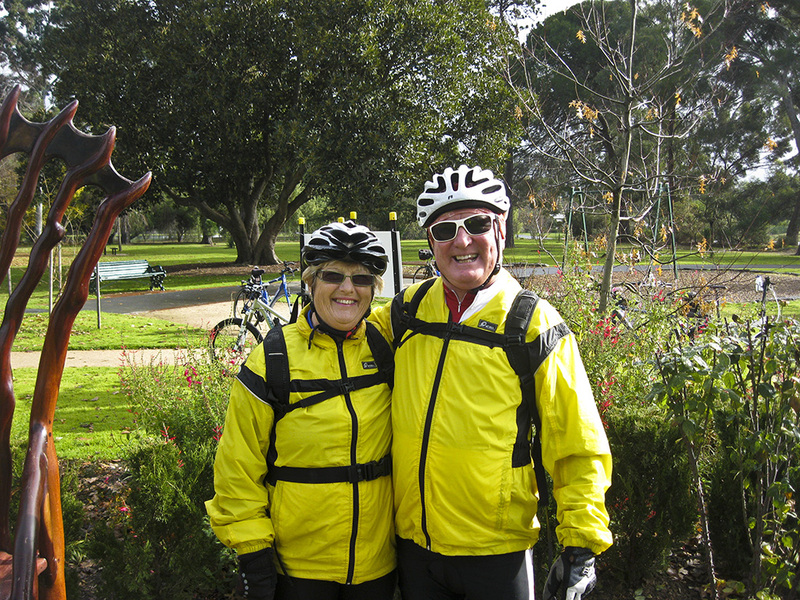 This entry was posted in Best Rides, Club events, Cycle touring, Events, Ride reports and tagged Bendigo by hlyth2013. Bookmark the permalink.